Trying to plan, expand or move your business requires careful consideration and preparation. Purchasing property for commercial use or residential development can hinge on many factors. 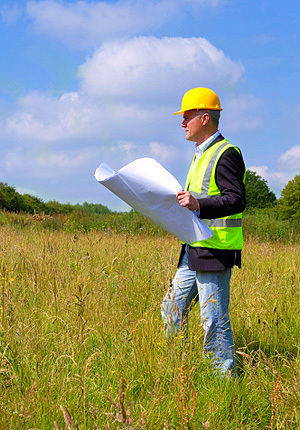 A knowledgeable legal staff can diffuse problems of zoning and land use before they arise. The law offices of Gordon & Pikarski has served the needs of the business community for more than 50 years, finding innovative solutions for legal issues related to land use, zoning and real estate. The U.S. Supreme Court authorized eminent domain in a landmark case, Kelo v. City of New London in 2005. The ruling allowed state and local governments to unilaterally seize private property — homes, buildings and other real estate— for public use. Landowners may receive market value for the property but otherwise have no ability to prevent seizure. Although other states have moved to curb this practice or limit it to condemned property, Illinois has not. As recently as 2013, the Illinois legislature authorized the state to seize private property for casino use. If your property or business is affected by eminent domain, an experienced law firm can protect your rights against encroachment and abuse. The Cook County Class-L Property Tax Incentive — Cook County offers incentives to use historic structures for commercial industrial use. Eligible ventures reduce the property tax rate for ten years. Chicago Façade Rebate Program — Property owners who renovate a street-facing building front in a commercial or industrial zone may receive a rebate from the city of Chicago for their costs. Rehabilitation Tax Credits — The federal government offers tax credits between 10% and 20% of construction costs to businesses that renovate or update a historic structure. There are numerous other grants and other programs for which property owners in Illinois may be eligible. Before making any decision, consulting a law firm steeped in Illinois property law can help determine your eligibility. The Illinois Historic Preservation Agency oversees and regulates property that has been approved as a historic site by the Illinois Historic Sites Advisory Council. Registration as a historic place can reduce property taxes and or make an owner eligible for tax credits. Gordon & Pikarski can help determine the eligibility of your business for historic site designation. The law offices of Gordon & Pikarski is a boutique law practice that has been a fixture in the Chicago and Collar Counties legal communities for more than half a century. Their attorneys have decades of experience solving land use, zoning and other issues for their clients. To learn more about their services, call 312.782.9351 or contact them online. Law Offices of Gordon & Pikarski is located in Chicago, IL and serves clients in and around Evanston, Wilmette, Kenilworth, Lincolnwood, Golf, Morton Grove, Niles, Glenview, Glencoe, Techny, Park Ridge, Northbrook, Skokie, Des Plaines, Elk Grove Village, Schiller Park, Highland Park, Elmwood Park, Cook County, Du Page County, Kane County, Kendall County, Lake County, Mchenry County and Will County.